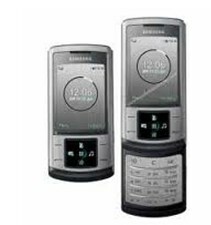 Samsung Electronics today announced the launch of ‘Soul’ –Samsung Anycall U908 slider phone, its new flagship product for 2008. Abbreviation for ‘the Sprit of Ultra’, Soul is the latest addition to the Ultra Series, which represents the perfect balance between form and function. Slim and lightweight, yet boasting 7.2Mbps HSDPA connectivity, a 5.0 megapixel camera and Magical Touch user interface, Soul represents Samsung Anycall’s leadership in both technology and design. At only 12.9mm slim form factor; Soul is equipped with professional high-quality photographic functions including a 5.0 megapixel CMOS camera, answering the demand for the perfect digital camera and multimedia mobile combined into one single device. Features such as Face Detection, Image Stabilizer and Wide Dynamic Range (WDR) will please the most discerning of digital photography enthusiasts. Continuing the synthesis of Samsung Anycall’s popular Ultra Edition with extreme minimalism in a slim design, Soul has a full metallic body with a premium look and feel, natural color and hairline texture. The fundamental direction of the design concept development of Soul was to create the epitome of self-discipline by minimizing all the factors to a simple yet beautiful device. Soul enhances the user experience with Magical Touch that adapts to the specific needs of users . Magical Touch UI provides changing icons that make navigation more intuitive and direct. When users switch to the camera mode, camera related icons such as Power LED Flash and brightness icons will appear. when in music mode, music related icons will light up on the navigation indicators. Soul offers a new series of Theme for users, allowing users to customize their own skins with various options such as themes, font colors, etc.